Lone Star College System is a major contributor to the local, regional and state economy and is a sound economic investment. Lone Star College adds nearly $3 billion annually to the Houston economy with higher student incomes and increased business productivity. 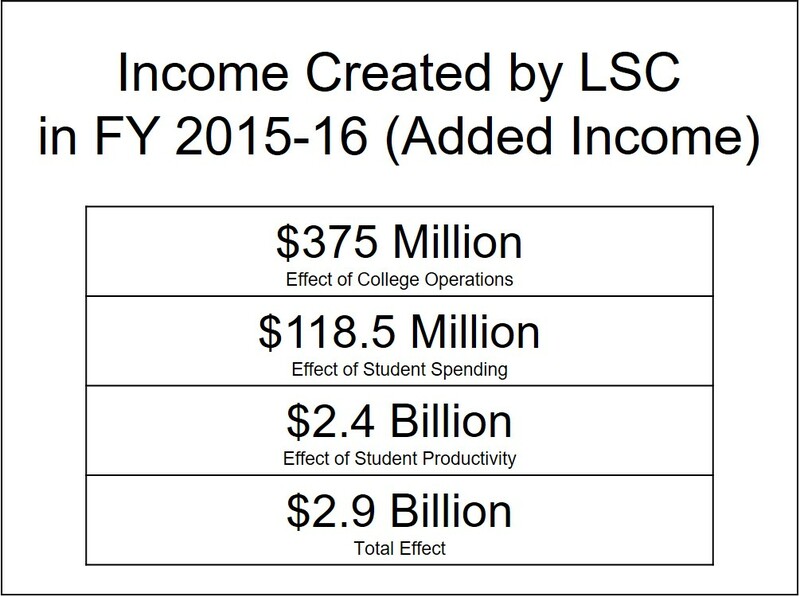 LSC expands the Texas tax base by about $2.1 billion in future tax revenue and government savings stemming from the students' higher lifetime earnings and increased output of businesses. LSC students generate $312.5 million in social savings to the Texas public related to reduced crime, lower welfare and unemployment, and increased health and well being across the state. A LSC transfer student will save $16,058 in tuition and fees aby attending LSC for the first two years of their postsecondary education. At Lone Star College, our number one goal is student success and credential completion. The future economic growth of our city and our state depends on having a well-educated and highly-skilled workforce. 65 percent of all jobs will require post-secondary education by 2020. Only 4.3 percent of Americans with four-year degrees are unemployed; 15 percent of those without a high school diploma currently do not have a job. 14 million new US jobs will be created in the next decade, and all will require an associate degree or more. 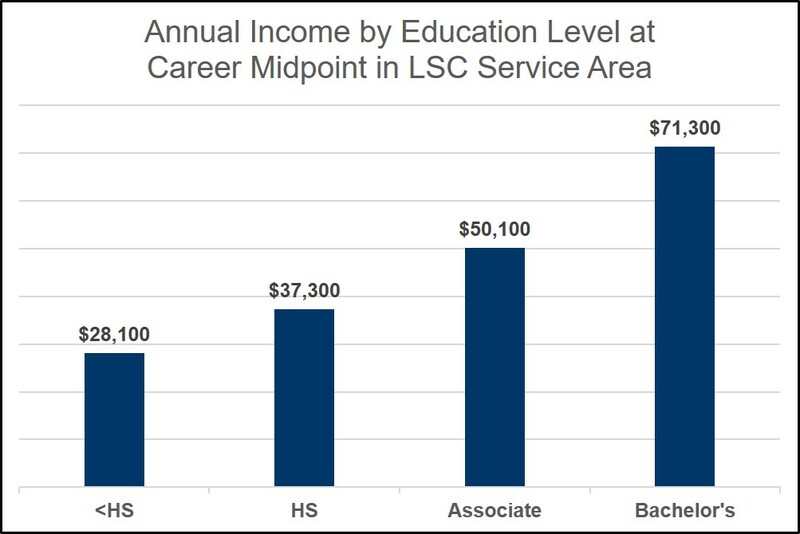 The single most effective disruptor of the poverty cycle are postsecondary credentials with labor market value – certifications, diplomas and degrees. Only 1 in 5 Texas 8th graders earns any type of degree within six years after finishing high school. Less than half of students who enter a community college graduate or transfer to a four-year college within six years. More than 40 percent of community college students are first-generation college attendees, and more than half are older than 22 years old. Lone Star College believes it imperative that we do better. That's why Lone Star College recently launched My Degree Counts with a goal to increase the region's college graduation rate by 1 percent by the year 2013, which translates into a $4.2 billion lift for the Houston regional economy. Our fast-track career and technical education programs and certifications can be sequenced to get students working in their field while continuing on the path to finishing their degree. Lone Star College System is deeply committed to accelerating student success, increasing graduation rates and improving our economy.